waiting for parts for the sea hawk the spit is done, the zero is 95% done and i had a sheet of Depron lying round begging to be used. will be edf and rc. Steve. ALL lightnings are nice!! Nice, are you going for two stacked fans? i will need to part build the fuselage first and then fit two edf's and have a play. then decide after some thrust tests. cut the wing cores today. Very nice hangar and very nice model! I worked on these for five years - watching with interest. Is it going to have the kinked leading edge with droopy outer sections? 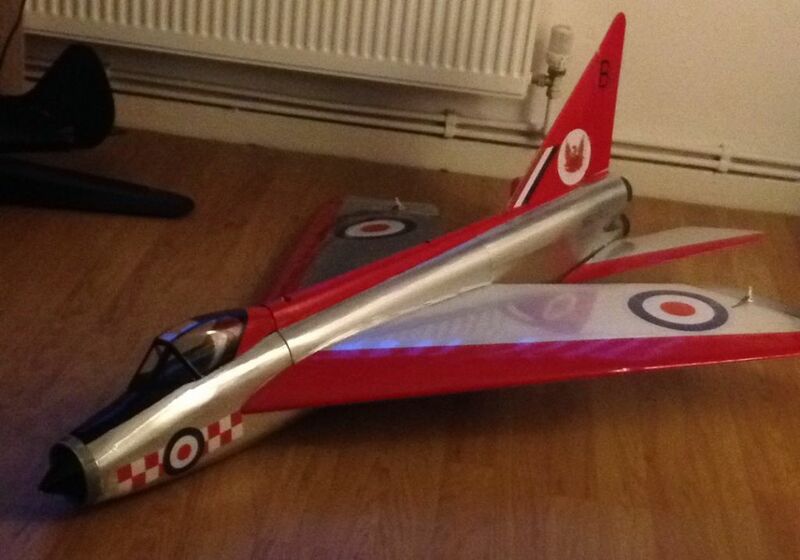 not sure, just a semi scale model, not trying to re create an actual aircraft as such. more an experiment to see if it will work. That's an interesting challenge Tony, good luck. Definitely one where a chuck glider will be useful in getting some of the basics such as c of g right. The "loominus toob" rises again! (Not you mate, the plane). And my old Flair models Lightning built for PSS. i must stop using CAD. Tony, you've certainly mastered the CAD, I still haven't got round to it. Which one are you using? total cad. £7.99 from maplins. i did say i was tight. All Forum Topics > Electric Ducted Fan > E E Lightning ?? ?